Are Your Questions about Kids Martial Arts Classes or Adult Martial Arts Classes? Many mma schools around Madison offer a “buffet” of martial arts like fitness kickboxing, self-defense, karate, etc. Not us. Our focus is teaching authentic Brazilian Jiu Jitsu. That’s because we think Brazilian Jiu Jitsu (BJJ) is the most effective and complete self-defense system in the world. It’s also the best full-body mma workout available, and just plain addictive to learn. Read below for answers on the most common questions our prospective customers ask about jiu jitsu classes near me. "Why should I pick your martial arts academy over other martial arts near me? We are focused 100% on one discipline: jiu jitsu. You’re not paying for other styles you don’t train in and there’s more class times available for what you do want to train. Our instruction is adult-learning focused. We have a structured rotating curriculum for all our classes and a roadmap for you to progress through your training. We are a family-friendly, beginner-friendly, zero-intimidation environment. We have a satisfaction guarantee. Your goals and results are more important to us than money. Do I need any martial arts background in Judo, BJJ, or anything else? No, you don’t. There are beginner classes available and many of the people who study Brazilian Jiu Jitsu have ZERO prior martial arts training. "Who are Journey Jiu Jitsu Madison Classes PERFECT For?" "Where is your schedule of jiu jitsu classes near me?" "How much do jiu jitsu classes near me cost?" Prices for jiu jitsu classes in Madison varies GREATLY. You may pay anywhere from $75-$175 per month with various area gyms. Our trial program is available at a huge discount from our normal drop in fee of $20. If you decide to sign up after the three classes, it will work very much like a Yoga or Gym membership. We have 6+ different membership plans to fit every budget, and we go over those in detail when we sit down with you after your first trial class. 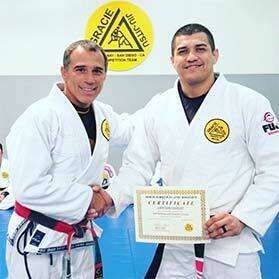 "Do I need to be in shape or athletic before taking jiu jitsu classes near me? We almost NEVER see any injuries in our jiu jitsu classes. We guide you through the perfect way to do each technique and provide special instruction to help students avoid injury. Plus, you go at your own pace. That way you don’t force your body to do anything that promotes risk of injury. Should I lose weight / get in better shape before I start? We get this one a lot. NO you shouldn’t. This is a little bit like asking if you should get well before you go to the doctor 😉 Our instructors will work with you on the basics and modify techniques if needed to help you get started. The sooner you take action, the sooner you’ll get in the best shape of your life! 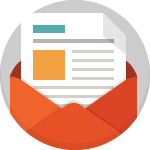 If you’re not satisfied for any reason after signing up for one of our trial programs or full memberships, within 30 days, just shoot me an e-mail with a request to cancel the program. We’ll quickly refund your money so you can use it on something that better fits your needs. "Why should I pick journey academy over other kids martial arts near me? Every other school in town advertises character development, focus, and discipline. With our kids program your child will get those benefits AND realistic, age-appropriate self defense skills most schools lack. Our classes are actually fun for kids – they will not think it’s a chore. We are a family-friendly, beginner-friendly, inclusive environment. We have a satisfaction guarantee. Your child’s goals and results are more important to us than money. "Who are our kids classes NOT Right For?" "Where is your schedule of kids jiu jitsu classes near me?" "How much do kids jiu jitsu classes near me cost?" 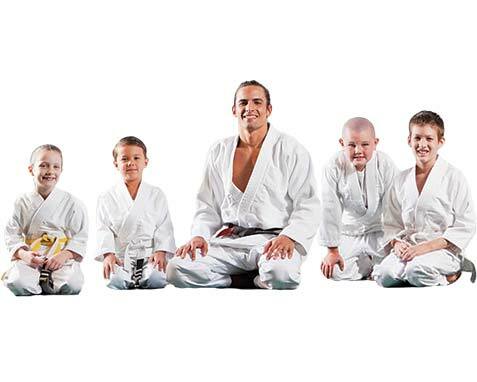 Prices for kids jiu jitsu classes in Madison varies from school to school. You may pay anywhere from $75-$175 per month with different schools. Our drop in fee per class is typically $20. If you decide to sign up after the three classes, it works much like a Yoga or Gym membership. With 6+ different membership plans to fit every budget, we will go over those in detail when we sit down with you after your first trial class. Does my child need to have any background in sports or martial arts? No, you they do not. Most kids here had no prior background before they got started. My child doesn't do well with sports - will martial arts be any different? "Will martial arts make my kid violent?" Absolutely not! We don’t teach kids how to kick and punch – jiu jitsu isn’t about that. Often, kids who had violent tendencies before they joined our class changed, and became more respectful of other people’s space. So no, martial arts won’t make your child violent! Where can I find Jiu Jitsu Classes Near Me? Who’s Teaching Jiu Jitsu Classes Near Me? As a corporate technical trainer and a student of BJJ for 4 years, Alex was quickly frustrated by how he saw Brazilian Jiu Jitsu being taught in gyms and on the internet. Teaming up with the highest level Jiu Jitsu Black belt in the area, together they created curriculum that allows students to learn more effective techniques at twice the pace. Enter your info now to get INSTANT access to our schedule of jiu jitsu classes near me and special online offer that ends THIS MONTH.